Can I purchase strawberries already picked? Yes! You can purchase them by the quart or by the flat (10 lbs) on our farm. No. We provide free containers. If you choose to bring your own please stop at the front desk to have them weighed before you head to the field so that we deduct that weight when you are finished picking! 8 AM – 7 PM is our goal, but it varies. If we are picked out or if the weather is uncooperative, we close early. Please always check the latest post on Facebook or the top of this website Home Page to confirm availability. Sarah will update it daily, sometimes even hourly, during the strawberry season, to reflect current conditions. We take payment in cash, checks or credit and debit cards. When can I get the sweetest and biggest strawberries? Sweetness comes from sunshine, so watch the weather. 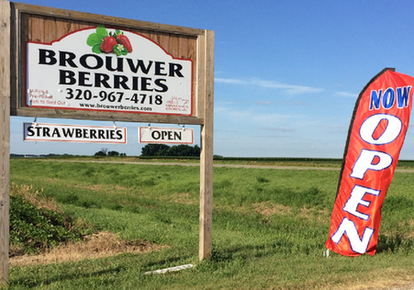 A few days of sun, and all our berries are sweet. A few days of clouds and rain, and their taste is more tart. For size, we grow 11 kinds, and they are different shapes and sizes.The first picking is the king, which is the largest, but there aren’t as many of them. After that comes the queen and her court, which grow in good clusters. We always give you the best row that is available when you arrive, but that can change by the hour and day. Do you grow raspberries or blueberries? No. However, we use many growing practices that are organic, as our children can testify after hundreds of hours hand-weeding! We let our children eat the berries straight out of the field without washing them because we know that as long is there are no bird droppings, the berries are pure goodness. Are children allowed in the field? YES!!! You will make priceless memories when you take your children to our farm and let them ‘help’ you! If it has rained will I get muddy or wet? Do I need to come the first week to get the big berries? No! You get to pick from many strawberry varieties that ripen at different times. You may come a week, or even two or three weeks after we open and pick in a variety that has just ripened. We have 11 different varieties! Will you be at any farmer's markets? Probably not. We’ll post on Facebook if we change our minds or find extra staff to run a market. Will the strawberries ripen after they are picked? How long do the strawberries last in the refrigerator? 3-5 days, if you do not wash them or take their stems off until you are ready to use them. Store them in the lower part of your refrigerator, uncovered or loosely covered. How do I wash and freeze strawberries? How do I make jam? You can purchase a box of Pomona’s Universal Pectin from us. It is a natural and low-sugar alternative to the pectins sold in big box stores. 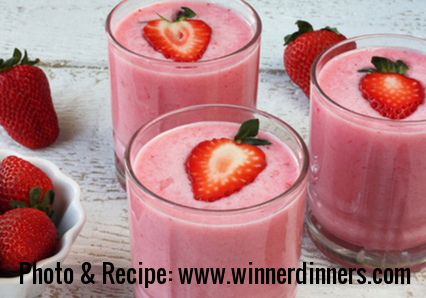 See our recipes page for more details. Can I purchase Sarah's jam? Yes, but availability is limited. When she runs out of strawberries she quits making jam! May I pick in the rain? It is your choice if you want to continue picking, but if there is lightening we request that you come in from the field. To grow and sell high quality strawberries while preserving the environment, serving the community and maintaining family values. How do you meet your mission statement? We grow the best possible produce using mainly manual labor. We serve the environment by using sheep and cover crops to replenish our soil instead of chemicals, and by using drip irrigation instead of overhead sprinklers to conserve water. We donate our first fruits to the Willmar Food Shelf and Meals on Wheels as a Bible lesson for our children and an act of faith to the One who provides. At the end of the harvest we choose people to ‘glean’ free from the field as Ruth did in Boaz’ field. Every aspect of fieldwork becomes a lesson to our children and our employees of trust in the Great Provider. What is the most beautiful farming prayer you know? 1.Subscribe to our emails so you know when we open! 2. 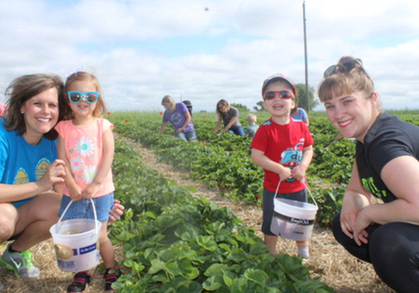 Come get U-pick or pre-picked local strawberries! 3. Enjoy local strawberries all year long!